Before Intel makes its fourth-generation Haswell processors official later this quarter, Lenovo is adding three new Ivy Bridge-powered laptops to its ThinkPad lineup. Announced today, the ThinkPad E431 (pictured above) and E531 are now available, and the ThinkPad S431 will follow in June. We knew the E431 and E531 laptops – and their color-coordinated OneLink Connectors – were coming down the pipe after seeing them briefly at CES, but the S431 is a pleasant surprise as it offers some of the same features as the similarly named T431S Ultrabook but in a more affordable machine. Not to be confused with the ThinkPad T431S business Ultrabook that we played with earlier this month, the S431 is a standard laptop with a 14-inch touchscreen display that Lenovo managed to squeeze into a 13-inch chassis with an aluminum cover, which means you get more screen than bezel with this laptop. Like its thinner brother, the S431 also features a large, glass touchpad (rather than the classic Lenovo button-heavy design) that understands gesture controls, making it a good alternative to the touchscreen when navigating Windows 8. In addition, you also can open the laptop to a flat 180-degrees to give you more flexibility in how you use the laptop (for example, to show a colleague sitting across from you something what’s on your screen). Powered by Intel’s third-generation Core processors (we’re assuming the standard voltage chips rather than the more energy-efficient ones in Ultrabooks), the S431 can be customized with up to 8GB of RAM and 500GB of storage (although the press release did not specify the type of drive, we believe it’ll be a standard hard drive). 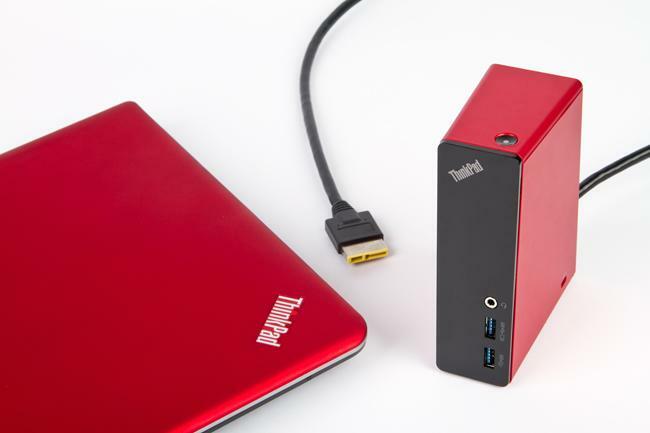 If the with two built-in USB 3.0 ports are not enough for all your peripherals, you can hook the laptop up to the ThinkPad OneLink Connector (as pictured below), which adds a gigabit Ethernet port, HDMI, and additional USB 3.0 ports while powering the device. 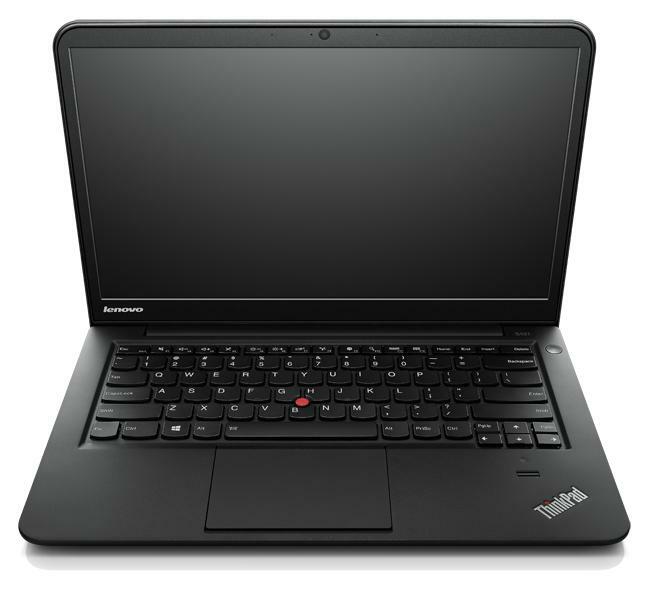 Available in June, the base configuration of the ThinkPad S431 starts at $700 and comes in either silver or graphite black. The OneLink Connector will be available starting May 21, though Lenovo has yet to announce a price for the device. After giving us a preview of its colorful ThinkPad laptops with matching OneLink docks back in January, Lenovo is finally ready to get its 14-inch ThinkPad E431 and the 15.6-inch E531 into consumers’ hands. 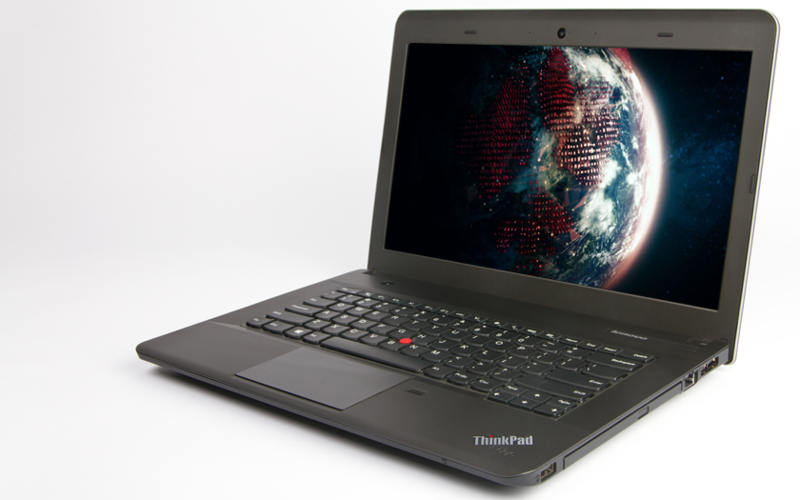 Available in in red, silver, and black, the E-class ThinkPads have full HD 1080p displays and large touchpads to make Windows 8 easier to navigate. Like the ThinkPad S431, these E-class laptops are also compatible with the OneLink dock so you can expand your ports and connectors and charge your machine at the same time. Both the E431 and E531 go on sale today for $510.